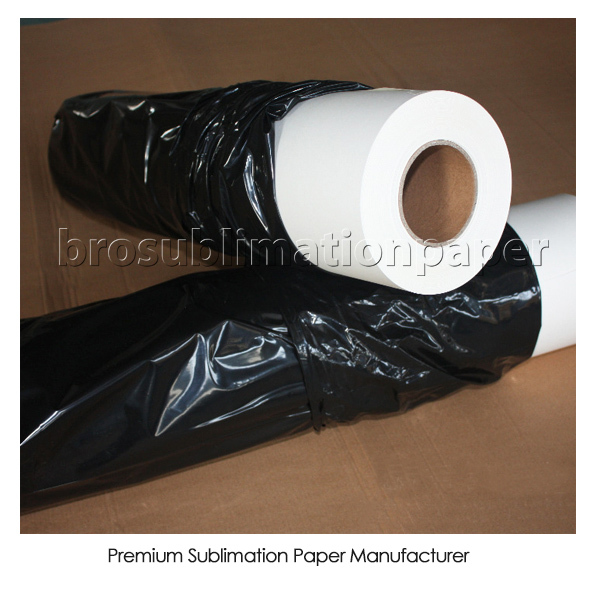 Low tacky 103gsm sublimation transfer paper , the sticky is even weaker than the medium tacky paper . Some clients requires the paper only has a little tacky, this one is for you . Our low tacky paper is mostly used on roll-to-roll heat press (Rotary/Calendar) , some clients like this is that deep in heart, they prefer the tacky paper than non-tacky paper, but for them the high tacky and medium tacky is still too tacky . So we launched the low tacky paper for those clients. Type Low-tacky & High-Quality Core 2"& 3"